Getting Married at Artimino Whether it's an extravagant wedding or a more intimate ceremony, the Artimino Estate offers numerous alternatives: a lunch in the elegant halls of the main floor, an aperitif among the old, wooden barrels of Granducali Cellars warmed by a roaring fire in winter, or a romantic dinner under a starry sky in the Belvedere Garden. Or otherwise, a banquet a bit 'country style in a chic setting among rows of grapevines, or a fun happy hour by the pool with tables laden of rich gastronomic delicacies. For couples who instead choose a religious ceremony, there is the Romanesque church of San Leonardo, a short distance from the Estate. Otherwise there is the abbey of San Martino in Campo, close to Artimino, shrouded in a rural and pastoral atmosphere. Our food is prepared internally by our chefs, selecting local products at zero kilometers; traditional Tuscan dishes with a creative twist and so to be combined with our wines. It is possible to choose different solutions, for both the location setting and the refreshment services. The Tenuta di Artimino also offers a Wedding Coordination Service: aided by an experienced and qualified staff the couples will be able to live this special day without stress. Many other services are available on request: customized graphics, special theme decorations, photobook, tableau marriage, confetti or candy buffet, musical entertainment, floral arrangements and much more. The "Villa of the hundred chimneys", as it is called "La Ferdinanda", is set in a breathtaking landscape in the most authentic heart of Tuscany and is the ideal location to host events in a charming setting. Built in 1596, it recalls even today the Renaissance splendor of the Medici family: each space has its own soul, its own history, marvelous decorations and a timeless charm. Civil or symbolic ceremonies can be organized inside and outside the Villa. One of the most beautiful villas in Tuscany for weddings! A gazebo with large windows which offers great views of the Tuscan countryside and can accommodate up to 90 people: it is the ideal venue for weddings, for gala dinners but also for informal events. Perfect for lunch, lit up by the warm light that passes through the large windows, it is beautiful even at dinner time. From the gazebo there is access to a private garden where one can enjoy panoramic views. Il matrimonio a bordo piscina nella Tenuta di Artimino vuole essere un momento suggestivo ed esclusivo: un happy hour, un buffet informale oppure una cena elegante. Il blu della piscina e il verde del prato fanno da cornice a momenti glamour e di piacere, poco distanti dalla maestosità di Villa La Ferdinanda. If there is a place in the collective imagination which is associated with good food, wine and the beauty of the countryside, it is without a doubt Tuscany. To get married between the rows of grape vines and olive trees encompass all the feelings that this region is capable of evoking and will give a chic country flavor to this special event. Within the 80 hectares of the Estate's vineyards you can capture those magical shots, perfect for dream-like photos. 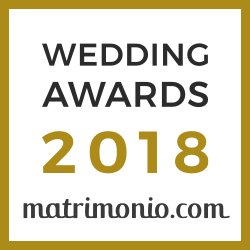 For those who want to get married with a Christian ceremony, just meters from the property is the Romanesque parish of Saint Mary and Leonardo and the abbey of San Martino in Campo, both intimate and pastoral with all the charm of the past. At the Estate it is also possible to perform marriages of other religions: Protestant, Hindu, Jewish or any other religion. The Artimino Estate embraces, without distinction, all cultures and religions. Each wedding is a unique story; unrepeatable. As in the case of a Kosher wedding, it takes passion but also professionalism, respect and knowledge of the rules. Our staff is at your disposal to organize in detail all the moments of your wedding with complete respect of kashrut. I recommend the Artimino villa in everything and for everything. The reception of our wedding was perfect, arranged in impeccable manner and, according to all of our guests, could not go any better. The wedding planner who followed us (Linda) was very nice and very nice, we gave her the confetti and the dressing room and she was very good. The villa does not need presentations, it is the best for capacity, beauty of the salt, unique panorama. The price is very good compared to other villas which, with the same price, offered much less. Straconsigliata! Wonderful villa and outstanding staff, it was all magical and wonderful. A set of factors that made our day unforgettable, professionalism, kindness of staff availability, are priceless things, they were all wonderful. The whole staff completes the beauty of the whole villa. I would recommend to everyone to spend in this enchanted place the most beautiful day of life.